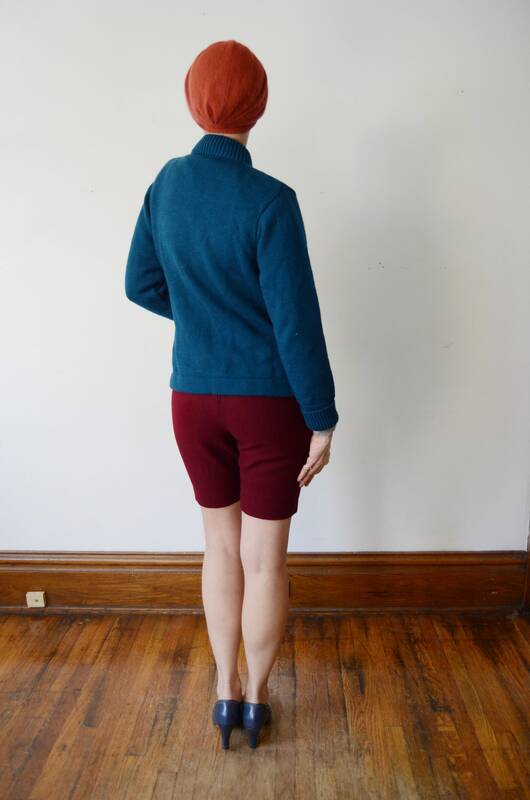 Description: A warm and thick teal blue wool sweater with shiny plastic buttons up the front. 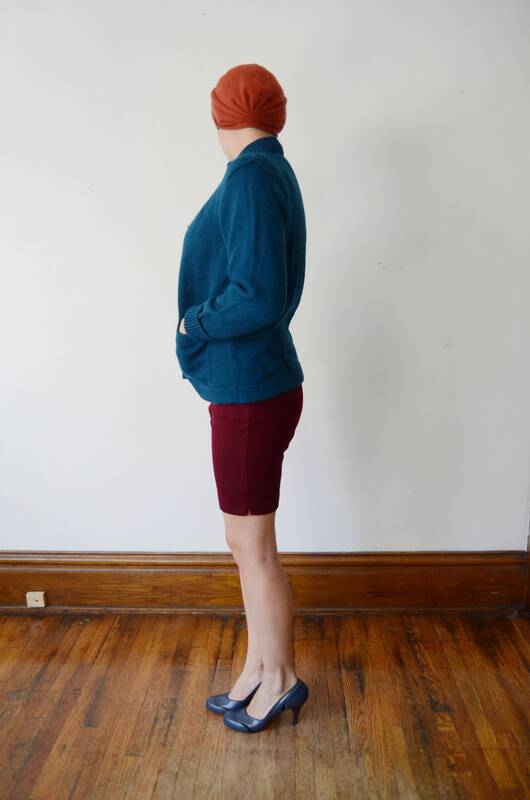 Sleeve Length from shoulder: 21” plus the small cuff. Condition: Excellent, washed and ready to wear.